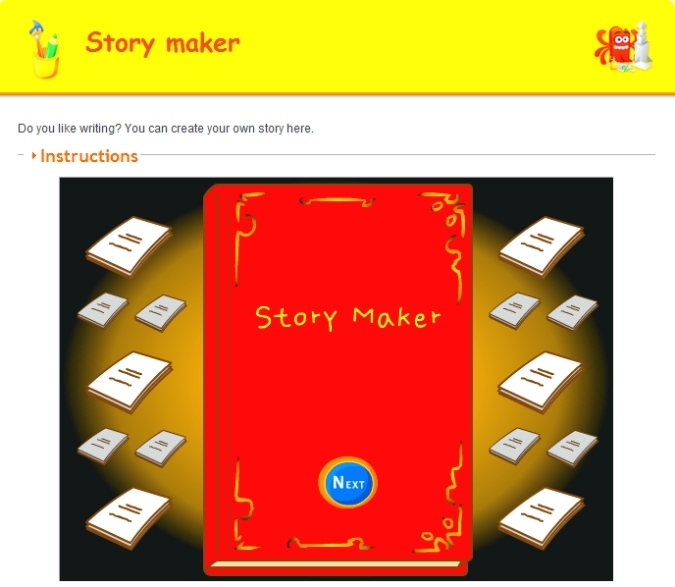 where students can read stories, have stories read to them and create their own. I pick 3-4, post them on our internet start page for a week or two, and then change the list. If you click that link, it takes you to kindergarten. You can select the red first grade tab or the blue second grade for more choices. If you don’t see any there, it’s because we’re not discussing stories right now.